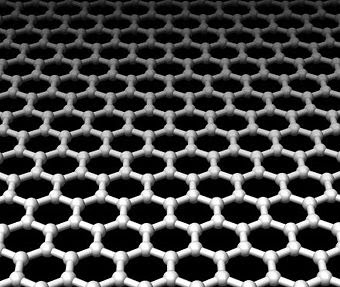 Graphene, the new wonder boy on the block regarding tech, computation and science, has a new arrow in it's quiver, the art of enabling researchers the ability to see how the Fine Structure Constant operates in real time. The FSC "is the measure of the strength of the electromagnetic force that governs how electrically charged elementary particles (e.g., electron, muon) and light (photons) interact. "...researchers have found the carbon monolayer is not crystal-clear but notably opaque, absorbing a rather large 2.3 percent of visible light. The experiments supported by theory show this number divided by Pi gives you the exact value of the fine structures constant. 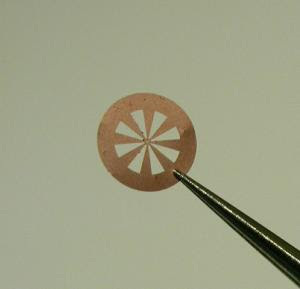 The fundamental reason for this is that electrons in graphene behave as if they have completely lost their mass, as shown in the previous work of the Manchester group and repeated by many researchers worldwide." Note: The photon is the carrier of electromagnetic radiation of all wavelengths, including gamma rays, X-rays, ultraviolet light, visible light, infrared light, microwaves, and radio waves. Now that scientists can actually see how light (photons) interacts with the fast and seemingly massless electrons in Graphene, the ability to design truly efficient solar collectors may be at hand, thus ushering in an age of clean energy that can change how man does business on planet earth.